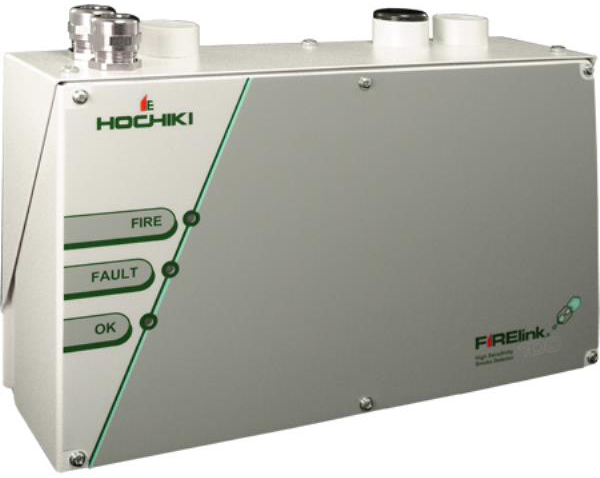 Model FIRElink-100 is designed to provide very high sensitivity smoke detection in a small package. 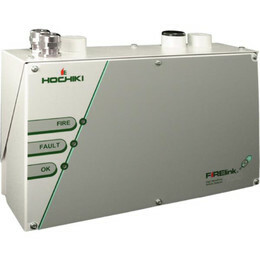 A unique sensing technology ensures that the detector operates at optimum sensitivity for the protected environment, without the need for complex setup. This means the product will configure itself to provide high sensitivity in a computer room or reduced sensitivity in a smoky area. The detector is designed to fit into a Docking Station which accepts all sampling pipes and cables leaving the detector to be fitted during the final commissioning phase. This ensures that the detector is less likely to be damaged during installation. Ultra small, low cost aspirating smoke detector for easy and discreet installation. Two sampling pipes up to 100 m (aggregate) in length (still air). False alarms reduced by unique laser sensing technology - able to discriminate against dust.